There once was a time when going out and eating healthy meant having to succumb to a feeling of depriving oneself. You either had to skip the good eats on the menu and order that bland and boring salad or had to visit that dated restaurant with the 60’s decor that none of your friends wanted to join you at. Fortunately, this is no longer the reality. With more and more people opting for wellness in their dining choices whether it’s for personal or health reasons, there’s a strong demand for clean-eating out options. You no longer have to be THAT person asking the restaurant to alter to your vegan, gluten-free, dairy-free eating habits. Although not all of these restaurants are strictly plant-based or vegetarian, you’ll find something at several or more of the following to cater to your stricter-dining preferences. One of the pioneers of vegetarian and local, organic cuisine in San Francisco, Greens has been around since the first Star Trek motion picture came out – 1979. 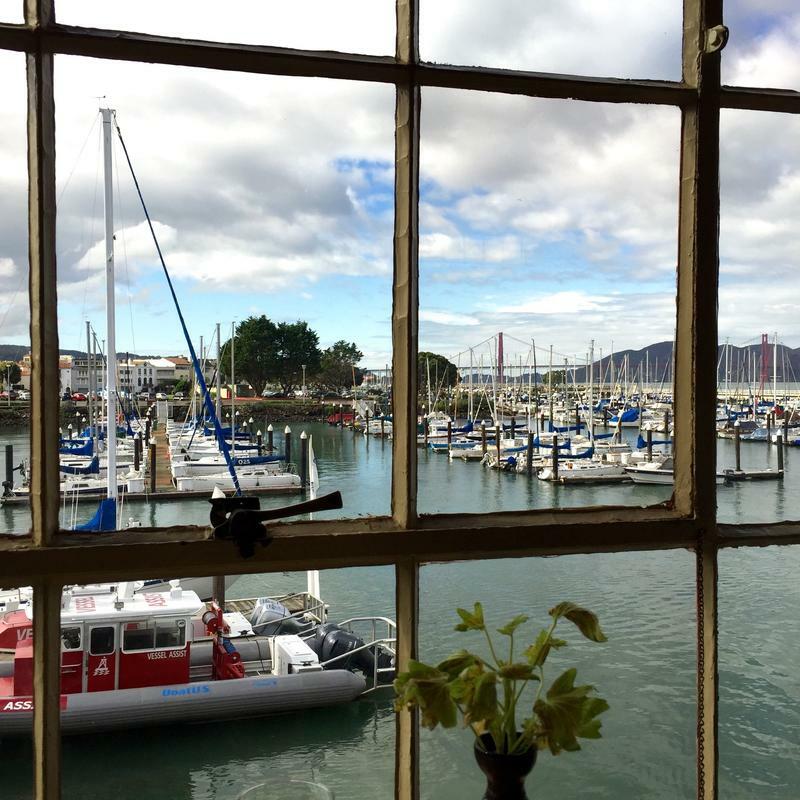 Located in Fort Mason right along the breezy marina, the dining room offers zen waterfront views while guests can enjoy conversation and a nice selection of first and main-course items reflecting the changing California seasons. Sample entrees include the Mesquite Grilled Brochettes with vegetables and tofu in muhammara sauce or a linguine with Chantrelle mushrooms and slow roasted Juliette tomatoes. For those without time for a full sit-down meal, there is a Greens to Go in the same location where you can order soup, sandwiches, coffee and pastries to take with you. The Inner Richmond used to be a place where one would mainly only find tons of MSG and cheap ethnic eats. In the last couple years, the neighborhood, just like the rest of the city has evolved and with those changes has come a welcome addition of new and diverse businesses and dining offerings. Nourish is a tiny cafe in the avenues with an all plant-based menu. Their toast sampler with housemade gluten-free bread is a welcome way to start the day with its choice of ten various toppings. The avocado is a favorite along with the sweet almond milk ricotta with fruit. 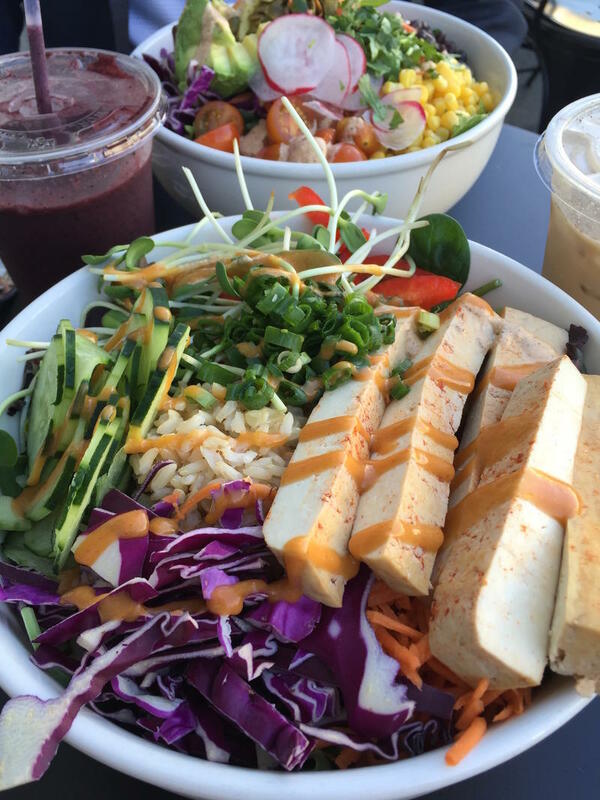 Nourish is also conveniently located right across the street from a Yoga Tree studio, so it’s a good pre-or post fuel station to enjoy a plant-based bite and drink before or after an hour-plus of downward dogs and planks. It doesn’t matter if you’re a vegetarian or carnivore. Gracias Madre will induce cravings that keep you coming back for more. Organic, vegan Mexican cuisine complemented by a full-service beverage program with an extensive mezcal and tequila list is why you’ll find crowds here every day and night of the week. 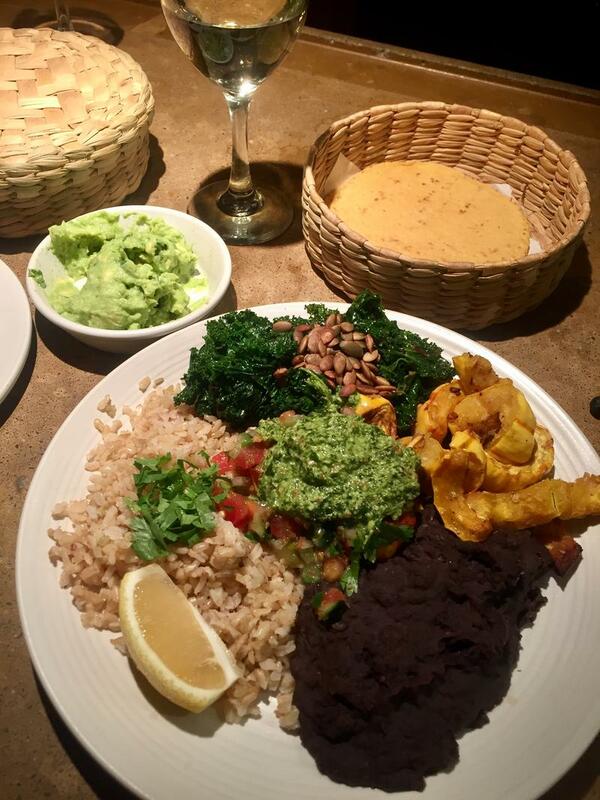 Start off with the Guacamole and warm house-made tortillas and move on to one of their many flavorful entree choices. Their Uno and Dos bowls are a filling choice and will go well with that extra batch of tortillas that you’ll want to order. If you have a sweet tooth, you won’t want to skip dessert. Their seasonal cobblers are decadently satisfying and are accompanied with a scoop of vanilla bean coconut milk ice cream. If I lived in Hayes Valley, I’d probably be here at least five days a week. Opened by TKRG (Thomas Keller Restaurant Group) alums, the restaurant is sleek and modern, yet comfortable. Everything they serve is free of dairy, gluten, and refined-sugar. Chef Dave Cruz has the innate skill of creating comforting dishes that are both aesthetically pleasing while feeding the soul. The Hen of the Woods Mushrooms on Beans & Rice is a dish that you’d like to cozy up with a big warm blanket near a wood-burning fireplace. 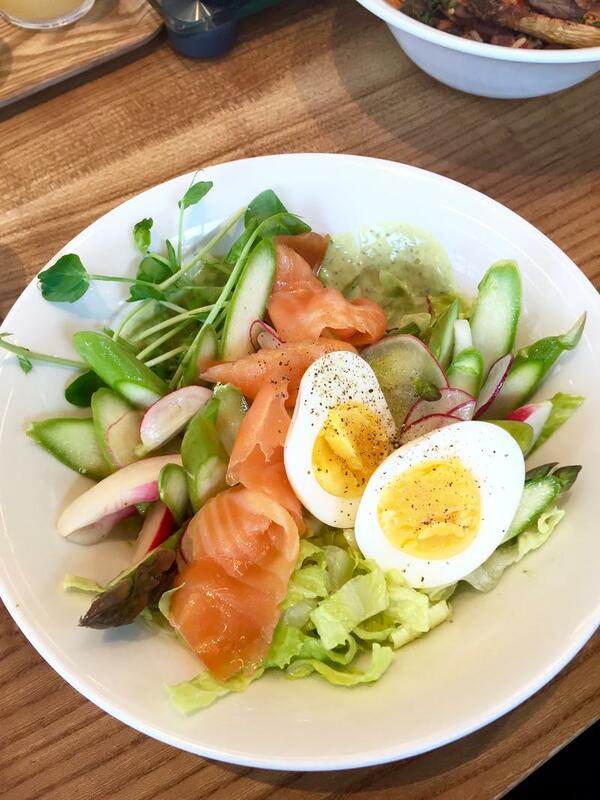 With all the dishes at Little Gem, you’ll consistently find fresh, seasonal ingredients and farm-raised produce. And although high quality, Little Gem offers a welcoming and affordable menu. 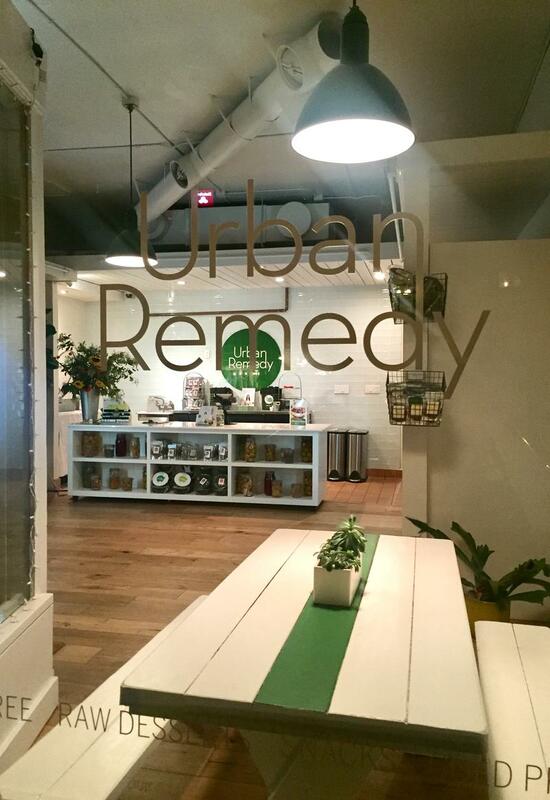 With several locations around the Bay Area and growing, UR has built quite a following for their fresh, cold-pressed juice cleanses and grab and go organic food and snacks which are all certified non-GMO, gluten free, and low glycemic. While most people opt to just grab and go, UR offers a few tables inside to enjoy a healing meal solo or with a friend. The macro bowl with quinoa and roasted cumin sweet potatoes is a fan favorite, and their PB & J meal-in-a-cup with raspberries, almond butter, almond milk, stevia, brown rice protein, coconut sugar, and chia seeds is a quick and easy post-workout boost. The Sour Cream and Chive Kale Chips and the Banana Brittle are so addicting that you’ll second guess if they’re really good for you. Don’t worry, they are. This bright white and minimalist-chic cafe in Presidio Heights offers salads, open-faced sandwiches, pastries, soups, and a multitude of beverage options for those non-seekers of gluten, dairy, nut and soy. 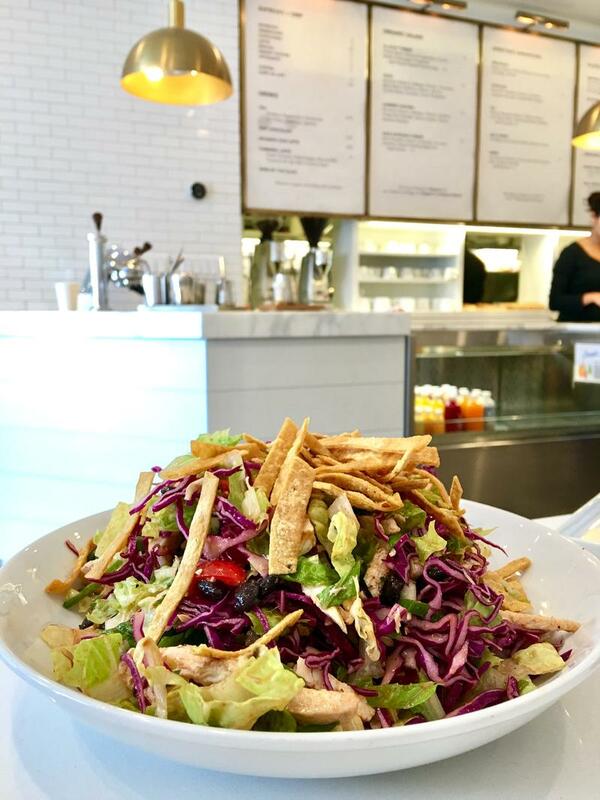 Their taco salad is a mound of protein power with jicama, black beans, chicken, romaine lettuce and cumin dressing. Their bone broth by the cup is perfect for those chilly San Francisco days (which are almost every day of the year). As Quoted has become the spot for the stylish neighborhood mom set to meet, eat and catch up. Bring a book and find a seat at the communal tables in the back to enjoy an afternoon latte including their Fresh Turmeric one with fresh ginger, coconut oil, almond milk, sea salt and coconut sugar. 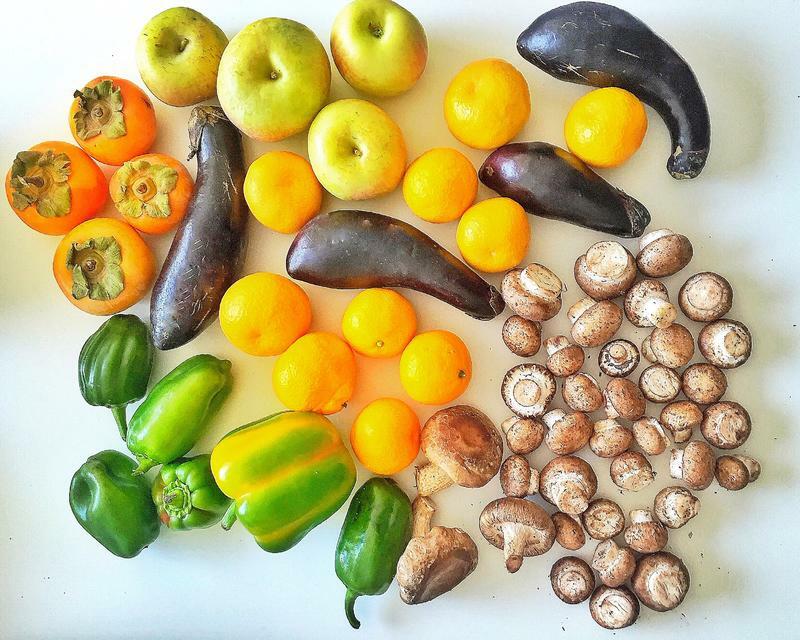 This article, Enjoy Healthy Eating at These San Francisco Spots, originally appeared on Chowhound.